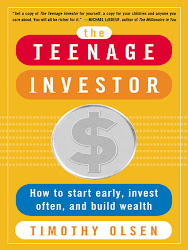 Generation WI$E: Economics and Investing: Pay Attention to All Data! Economics and Investing: Pay Attention to All Data! Today, the WSJ's Economics Blog has highlighted how an even slower economic recovery would feel. Daily, we are hearing reports of more and more economists who believe that we are going to experience a double-dip recession due to little or no jobs growth, the lack of any real pickup in home buying/construction, reduced consumer confidence & spending and limited business activity. In addition, the blog says that "New orders for non-defense capital goods excluding aircraft plunged 8.0% in July, wiping out the gains of the previous two months." All of this is sure to put a damper on whatever economic optimism is out there. However, this news is important for Gen Y's because economics is an area that we often overlook, both out of disinterest and the notion of it being boring. After all, why would you want to eagerly follow something that's been labeled the "dismal science"? If there's one thing I have learned from my college econ classes, it's that you have to question all of the data all of the time and you can never believe only one set of numbers. All of this economics talk helps validate the importance of behavioral economics. I talked about behavioral finance last week but the discipline also applies to economics. It's common for us to overlook or gloss over certain facts or data that's presented to us, either because we're just not interested or it doesn't help validate our case. For example, if we're optimistic seeing that the economy is humming along with GDP growth growing briskly, jobs being added monthly and wages rising then should we necessarily believe that a drop in durable goods orders forecasts a recession? No! But this also hammers home an important point: Never simply look to one data point to validate or invalidate a forecast we may have. You have to look at everything as a whole. The same is true with investing in stocks - just because one data point (lagging sales growth, for example) might tell us that a stock isn't an attractive investment, it doesn't necessarily mean that this is the case because there's always more to the story. However, when we see multiple data all pointing towards one thing - a further downturn in the case of today's economy - then we should probably take heed.